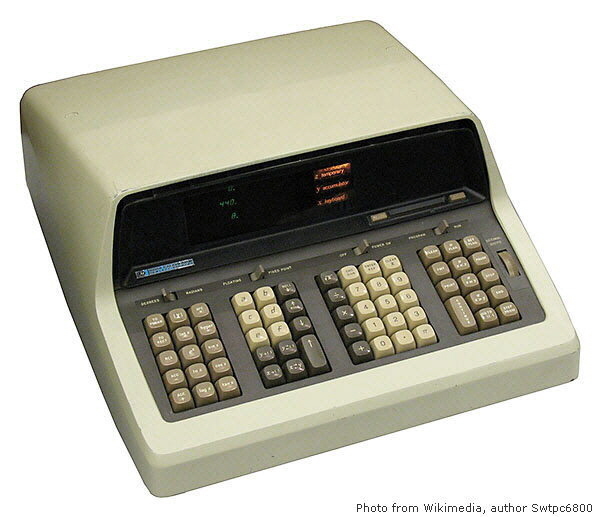 Hewlett Packard's first calculator was the 9100A electronic desktop model introduced in early 1968. It was a very advanced, scientific, programmable machine, taking magnetic cards and was priced at US$4,900. Its HP-35, introduced in February 1972, was the first hand-held scientific calculator, and was the first in a series of highly specified hand-held calculators. These include the HP-80, the first hand-held calculator for business calculations, and the HP-65, the first programmable hand-held calculator. See also "The HP-35 Calculator The first electronic slide rule" in the "Collecting Calculators" section of this site, the book "A Guide to HP Handheld Calculators and Computers", and the HP museum at www.hpmuseum.org. Advanced scientific function and programmable desktop calculator launched in 1968. The first hand-held scientific calculator, launched in 1972. The article "The HP-35 Calculator: The first Electronic Slide Rule", in the Collecting Calculators section of this site, has further information about the HP-35. 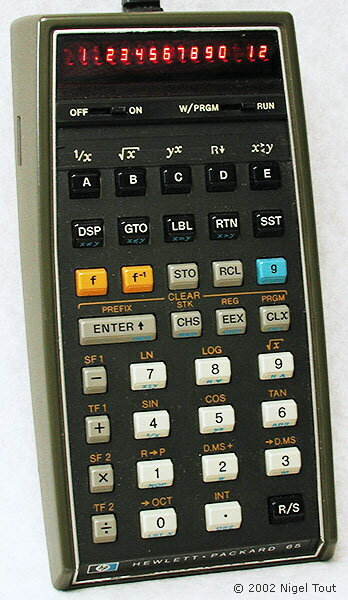 The first hand-held calculator with financial functions, launched in 1973. 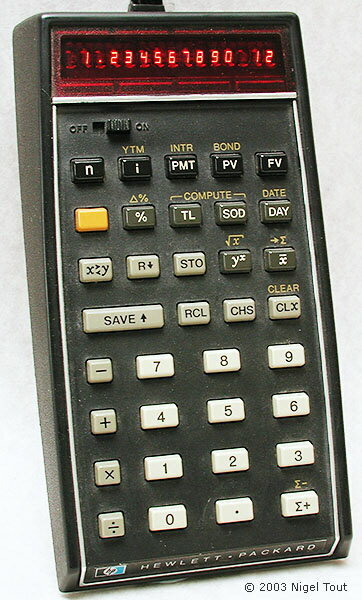 The first hand-held programmable calculator, launched in 1974. For further photographs of Hewlett Packard hand-held calculators see the Calculator Photo Library on this site.